How much is it worth to secure a $17,640-a-year job that takes you away from your family and job for two months each winter? 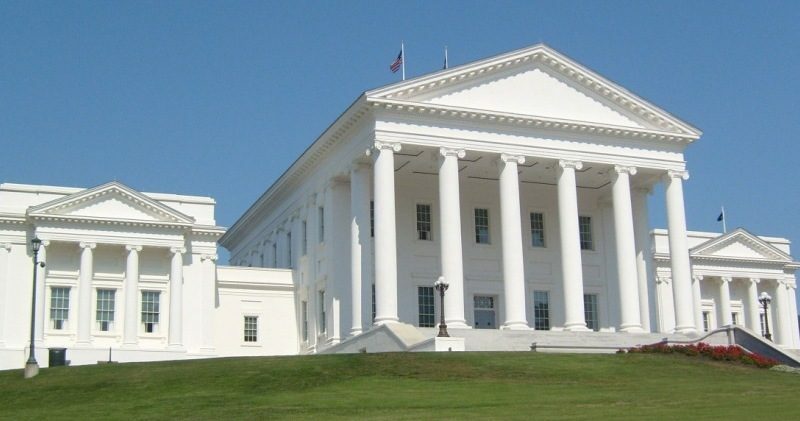 The 14 candidates seeking to represent portions of Loudoun County in the House of Delegate have raised a combined $4.38 million in this year’s campaigns. Still, that may be a bargain of sorts. Two years ago, candidates in seven House districts representing Loudoun voters raised almost $6.3 million. In southern Loudoun’s 87th House District, the two candidates have raised more than $1.15 million combined—both ranking among the top 10 delegate campaign fundraisers statewide. First-term incumbent Democrat John Bell had raised $626,977 by the end of the most recent reporting period, Sept. 30. That was the fifth most among Virginia’s delegate candidates. Challenger Subba Kolla, making his first run for elected office, raised $524,621, eighth most in the state. Bell’s top contributors were Brambleton LLC ($32,500); three Northern Virginia businessmen, Edward Hart Rice ($24,500), Thomas M. Hirst ($13,500) and John M. Toups ($12,500); and the Baltimore Washington Construction and Public Employees Labors PAC ($10,000). Kolla’s campaign warchest was anchored by a $50,000 self-contribution. His top contributors included the Dominion Leadership Trust ($30,000) and the campaign funds of three Republican incumbents, Kirk Cox ($27,300), Rob Bell ($10,000) and Todd Gilbert ($10,000). The 67th House District, which includes a small corner of southeastern Loudoun is the county’s second most expensive race. Incumbent Republican Jim LeMunyon and Democratic challenger Karrie Delaney combined to raise $974,522. LeMunyon ranks 11th overall in the state, with total contributions of $493,668. His top supporters were the House Republican Campaign Committee ($62,000), Del. Kirk Cox’s campaign fund ($40,000), the Dominion Leadership Trust ($35,000), Del. Todd Gilbert’s campaign fund ($18,000), the Majority Leader PAC ($15,000), Del. Chris Jones’ campaign fund ($10,000), and Del. Randy Minchew ($10,000). Delaney raised $480,854, 13th overall in the state. Her top contributors were Edward Hart Rice ($19,000), Michael D. Bills ($15,000), S. Sonjia Smith ($15,000), the campaign fund of U.S. Rep. Don Beyer ($10,000), and Future Now ($10,000). In three races, Democratic challengers have found strong donor support in their efforts to unseat entrenched Republican incumbents. David Reid leads that group, raising $467,399 in his campaign against three-term incumbent Tag Greason in Ashburn’s 32nd House District. He didn’t outpace Greason by much, however, as the incumbent reported contributions totaling $437,584. Reid ranked 15th statewide and Greason 17th. Reid’s largest contributors were the Flippable Va PAC ($19,500), the campaign fund of U.S. Rep. Don Beyer ($10,000), Michael D. Bills ($10,000) and S. Sonjia Smith ($10,000). Greason’s top donors were Del. Chris Jones’ campaign fund ($50,000), Del. Todd Gilbert’s campaign fund ($13,000), the Colonial Leadership Trust PAC ($12,500), the Virginia Beer Wholesalers Association ($12,500), Del. Kirk Cox’s campaign fund ($11,000), the House Republican Campaign Committee ($11,000) and the Dominion Leadership Trust ($10,000). Democrat Wendy Gooditis raised $241,796 in her bid to unseat 10th District incumbent Randy Minchew, who raised a total of $150,352. Gooditis’ top contributors were Only If You Run ($12,500) and the Arena PAC ($11,200). Minchew’s largest donors were Courthouse Corner Associates ($13,000) and Westview Associates LLC ($10,000). In the 33rd House District, Democrat Tia Walbridge raised $158,117, nearly double that of incumbent Republican Dave LaRock’s total, $83,285. The political newcomer’s largest contributor was the Arena PAC at $11,200. LaRock’s single contribution of $10,000 or more was from Del. Kirk Cox’s campaign fund ($10,000). The largest gap in campaign funding is found in the 34th District. Incumbent Democrat Kathleen Murphy reported contributions of $442,455, 16th most in the commonwealth. Her challenger, Republican Cheryl Buford, raised $75,568. Murphy’s largest donors were Karen Schaufeld ($13,000), Kathleen Emmet Darman ($12,750), the Baltimore Washington Construction and Public Employees Laborers PAC ($10,000), Vinton G. Cerf ($10,000), and Edward Hurt Rice ($10,000). The 34th district featured the most expensive race two years ago. Then, Murphy raised $893,023, but defeated her challenger who raised $1.1 million. The least costly races this year is the 86th District, which includes parts of Sterling. Incumbent Jennifer Boysko and Republican challenger Linda Schulz raised a combined $205,000. Two years ago, the district featured one of the most expensive delegate races, with four candidates raising almost $2 million to win the seat.